This is the dish that started the blog (thanks Nanci)! 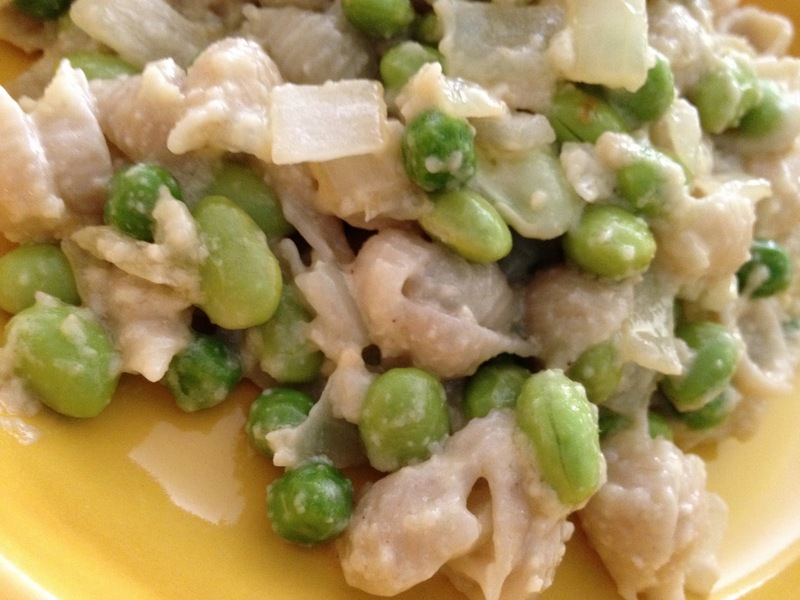 I usually make this with onions, leeks and peas but today was inspired to add edamame. Boil pasta in well salted water. When it is almost done, add the frozen peas and edamame so they can thaw in the boiling water. While this is happening, put the cashews into the blender and process them until fine. Then add oil, water, salt, and lemon juice and process. Add the nutmeg, if using. In the meantime, saute an onion in a other pan until translucent. Pour the cashew cream sauce over the onions. Drain the pasta, peas and edamame and add into the pan and toss around so all of the pasta is coated with sauce.